A "Wash Out" is a dog or puppy that after months of careful health testing, training, evaluation and socialization we have decided are not well-suited to become full, Public Access ready, Service Animals. - Did not achieve high-enough marks on scent testing! Each of these dogs/ puppies have been health tested, loved and cared for carefully. 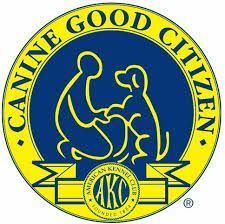 Each one is basic obedience trained, crate trained, and very social with dogs and people. They are ideal candidates for Therapy Dogs in some environments, Emotional Support Animals or Family Companions! We are not a non-profit, as such these dogs will have a reasonable cost reflecting the extensive training and socialization put into them. Most important to us is that they are matched with families/ people who will love, commit and care for them for the entirety of their lives. If you are interested in possibly getting matched with one of these dogs/ puppies please send an email to info@dogsdowntownva.com and we'll get in touch with information regarding what dogs/ puppies might be available, how to move forward- including a required in-person (free) consultation/ discussion.